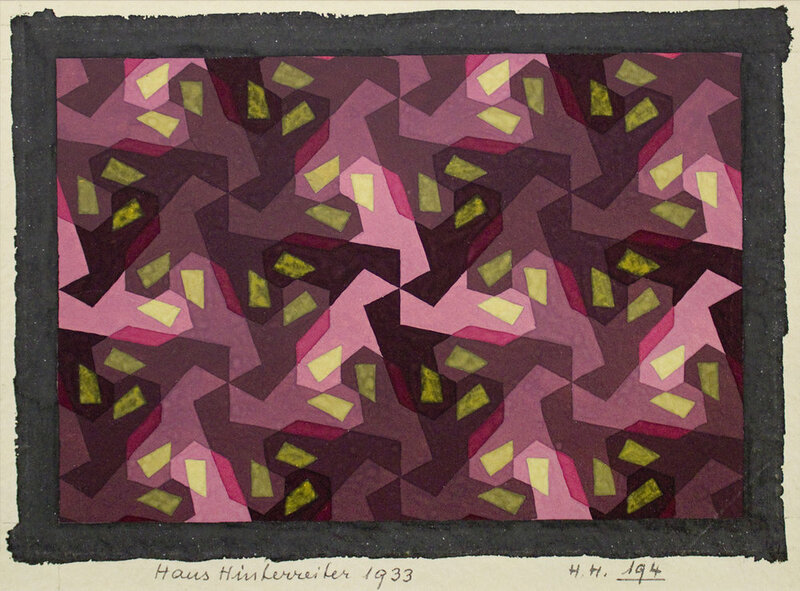 Senior & Shopmaker is pleased to present a survey of paintings on paper by the Swiss abstract artist Hans Hinterreiter. Featuring works painted between 1932 and 1982, this presentation marks the artist’s first one-person exhibition in New York in more than 25 years. 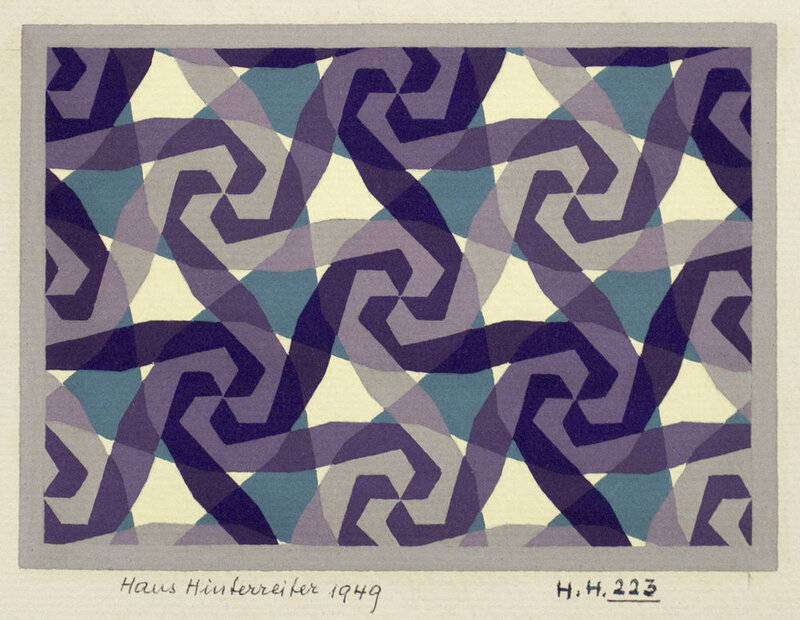 Born in Winterthur, Switzerland in 1902, Hinterreiter would go on to become a devoted practitioner of Constructivist Art. 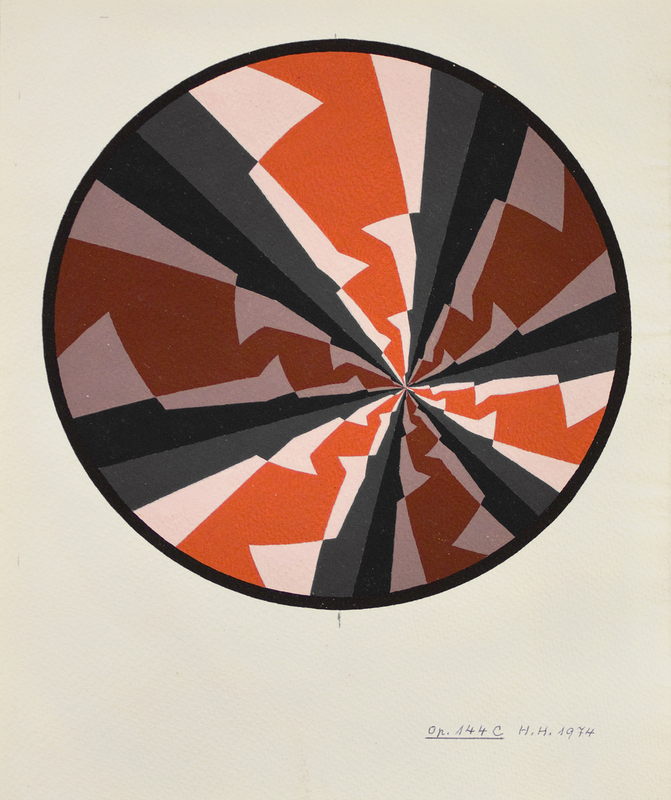 Together with Max Bill, Hans Fischli, Fritz Glarner, Camille Graeser, and Richard Paul Lohse, Hinterreiter helped to establish the Zurich Concrete artists group which became Switzerland’s principal contribution to post-war art. As a student of architecture in 1920, Hinterreiter’s studies were soon complemented by classes in painting, art history, and piano. By 1930 he would abandon the practice of architecture to devote his full attention to painting. 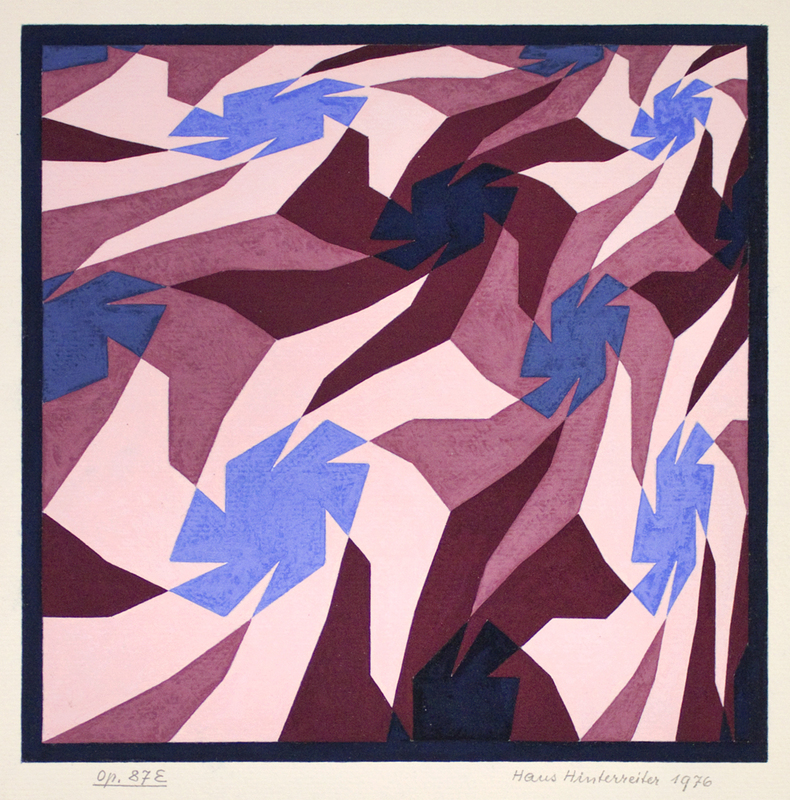 Influenced by the aesthetic writings and color theories of the German physicist and philosopher, Wilhelm Ostwald (1853-1932), Hinterreiter abandoned traditional figurative painting in favor of an abstract pictorial language rooted in mathematics, geometry, color theory, music, and ornamentation. In the ensuing 50 years, Hinterreiter applied his sense of design and aesthetic intuition to achieve paintings imbued with a rhythmic beauty. 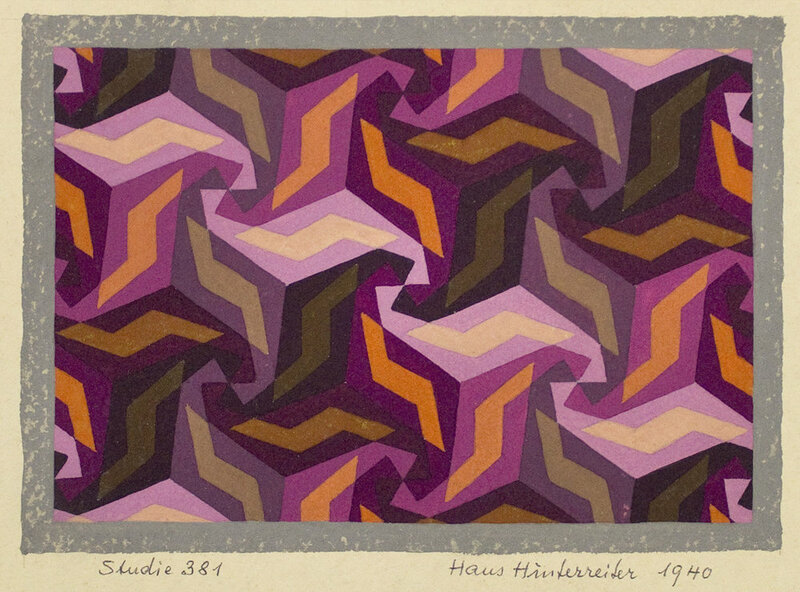 Although by 1939 Hinterreiter would permanently take up residence on the Spanish island of Ibiza, in 1942 and 1947 he would exhibit with the association of modern Swiss artists known as the “Allianz” at the Kunsthaus, Zurich. However, it was not until 1973, at age 71, that the artist enjoyed his first museum retrospective at the Kunstmuseum, Winterthur. In 1988, just a year before his death, a survey of Hinterreiter’s paintings was organized by the Solomon R. Guggenheim Museum, New York. This exhibition at Senior & Shopmaker has been organized in association with the Hans Hinterreiter Foundation, Zurich. An e-catalogue with an essay by art historian Gail Harrison Roman will accompany the exhibition.